On Tuesday morning Lexington resident “Carolyn” became aware of her mother’s issue with senior hygiene. She woke her older brother in Waltham with a phone call. “Mom’s burnt out” she cried. “Her arthritis is giving her a lot of pain and she says dad’s being difficult and refusing to bathe. I don’t know what to do!” Carolyn’s predicament plays out over and over across America and may sound all too familiar to you. As family caregivers to our aging parents, senior hygiene is very important, but we tend to dread the day we figure out that they aren’t bathing or attending to their personal hygiene. 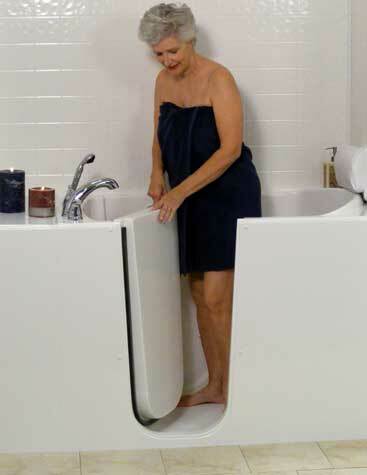 Bathing is a complex activity for seniors. It requires intact memory, judgement, organization, mobility, coordination, and strength. The act of bathing or the difficulty of doing so plays into the older person’s sense of control and independence. Sometimes they may postpone telling you or the home health aide because they don’t like admitting to themselves that they’ve lost this aspect of their autonomy. How do you know, without relying on a correct reply, that your elderly parent or relative isn’t grooming well any more? The key is to look for something that’s changed. Are you noticing changes in body odor, greasy hair, bad breath, shampoo lasts way too long, bath towel appears untouched or rarely gets washed? Does he or she make excuses for not needing a shower or bath? Some of reasons your parent or older relative may stop bathing regularly, refuse to shave, or otherwise ignore their personal hygiene may surprise you. Depression. Detecting depression in seniors can be challenging. Common symptoms such as weight loss, loss of appetite, or complaining of being tired, can also be caused by physical health issues. Trouble sleeping and loss of interest in grandchildren, favorite TV shows or pastimes should raise a red flag. Diminished Agility: In old age, osteoarthritis, tight tendons and ligaments, old injuries, and other pain makes things like stepping into the bath, turning stiff faucets, and bending over painful for millions of Americans. Is it possible your parent doesn’t bathe frequently because it’s too painful? Alzheimer’s Disease or Dementia: One of things you can expect in cognitive decline is reduced ability to schedule tasks. Often, an older person with dementia will “forget” why certain tasks, like cleanliness are important, and lose their sense of urgency about them. They don’t do this to be difficult; they simply aren’t fully aware any more of the relation of hygiene to infection, social encounters, and personal pride. Skewed Sense of Time: Our working memories include the sense of time passing, but in memory loss, sometimes a month seems like a few days, or conversely, a week seems like a few months. It may seem to them like they just showered or shaved “yesterday”, when in fact it was three weeks ago. Diminished Sense of Smell: Surprised? Scientists at University of Colorado School of Medicine found that those 60 and over showed an unexpected response to odor that made it more difficult to distinguish specific smells, putting them at greater risk from dangerous chemicals and poor nutrition. The Bathroom is too Cold! The water’s too hot! Is your parent reluctant to complain? Sometimes a direct question or comment can solve the mystery. “Gee mom, your bathroom’s a little chilly. Let’s keep the window closed in here.” If the water tends to run too hot you can lower the max temperature on the water heater to make it more comfortable. In Part 2 we’ll discuss deciding what to do when someone you love is unable or reluctant to bathe, and when to ask a home health aide to help with bathing, personal care, and senior hygiene. Minute Women Inc. is a private duty home care company located in Lexington, MA. We specialize in non-medical home health aides that are trained to help seniors stay in their home independently. We can be reached at 781-862-3300.